Sandeep Silas, MPA ’08, has an esteemed reputation for entrenching himself in projects that span well beyond any one audience. He currently serves as a Secretary in Ministry of Labour Employment in Delhi province, India. 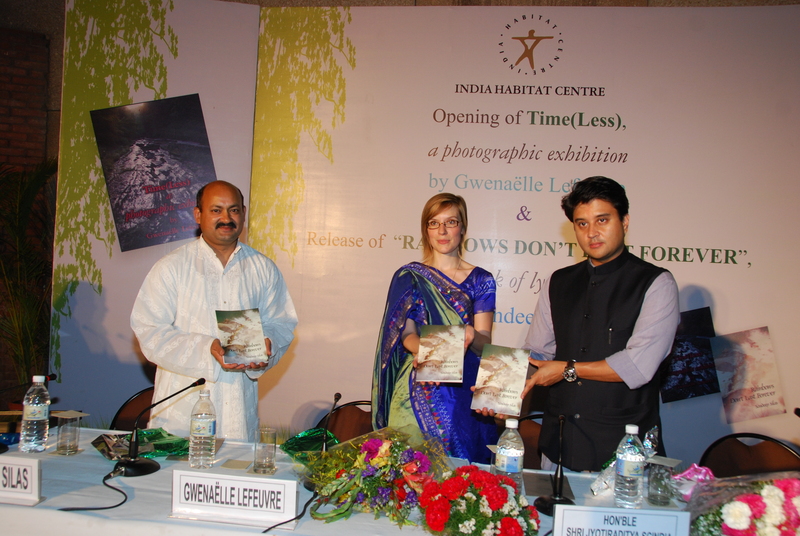 Beyond that however Silas is a musician, writer and poet, having recently released his third book, “Rainbows Don’t Last Forever,” at the latest Indo-French Cultural Event hosted at the India Habitat Center. The lyrical poetry of the book is written in both English and Hindi-Urdu, and spans his time spent at Syracuse as well as India. The book release was coupled with a photography exhibition, “Time(Less)”, presented by Gwenaëlle Lefeuvre who studied particle physics while at SU. The two met in Syracuse and Silas cites their friendship as inspiration for much of his own work. This entry was posted in Alumni in Action and tagged Maxwell School, MPA, New Delhi, Sandeep Silas, Syracuse University. Bookmark the permalink.